Unearth explores ideas of human transcendence through the structure of corporate magazine culture. 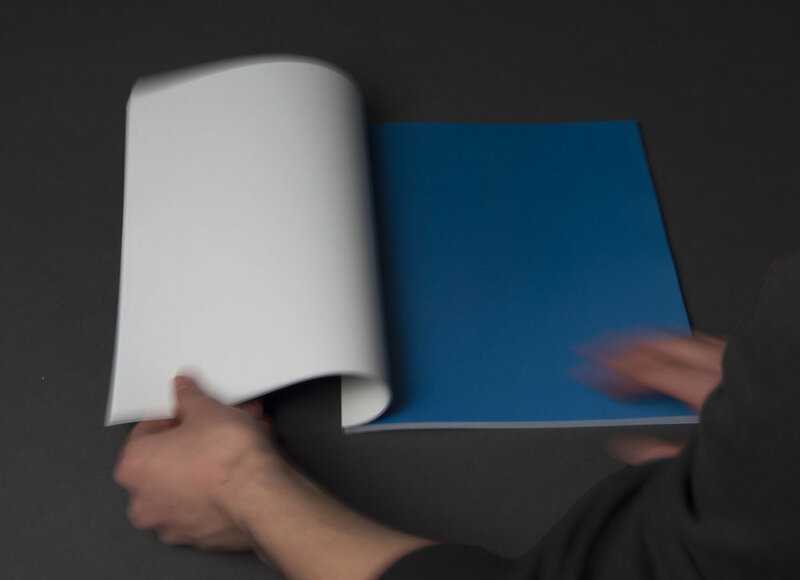 A 100-page publication that makes an object out of the intangible. 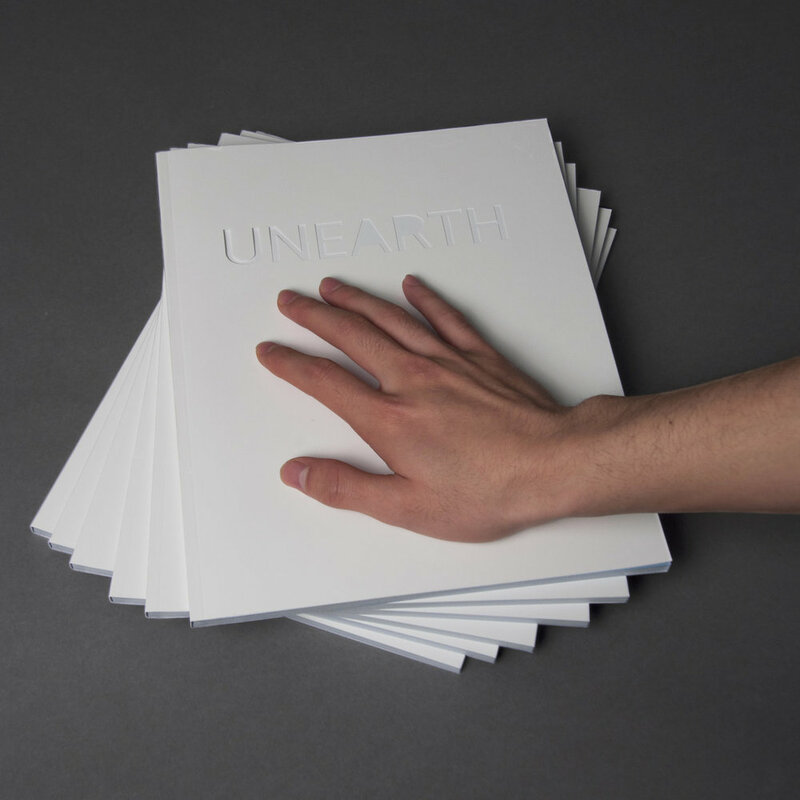 With full-bleed pictures of clear skies on every other page, Unearth explores ideas of human transcendence through the structure of corporate magazine culture. 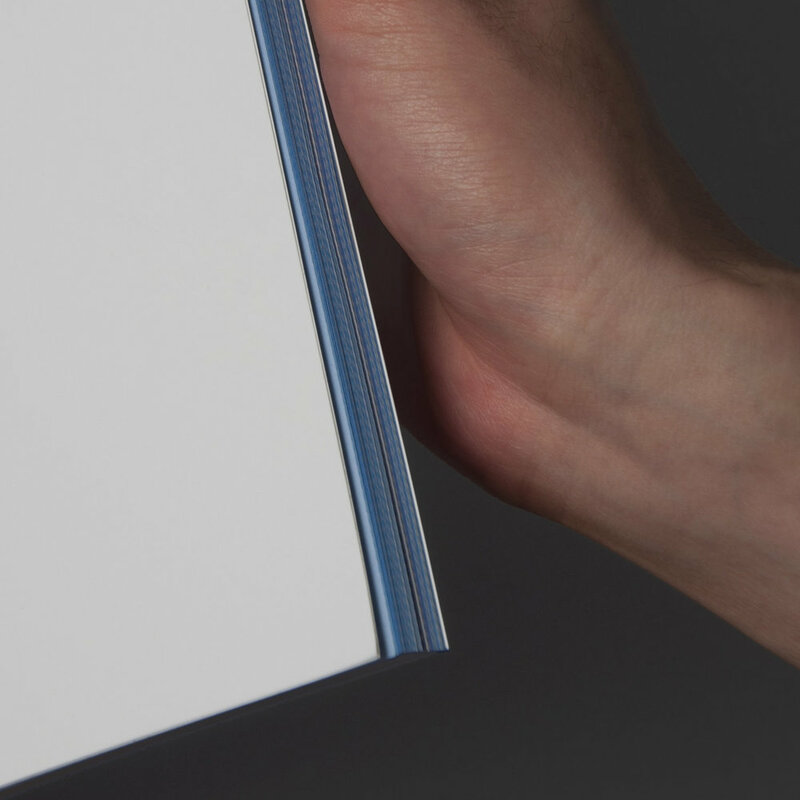 The title is laser cut on the cover to introduce the idea of absence. The publication’s immersive pages explore the impossibility of “sky” as a noun—an impossibility rooted in a word signifying a nothingness beyond what we can physically or mentally grasp. Purchase.